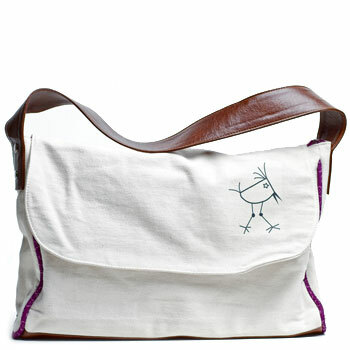 U hOO Large Birdie Pocket Hobo | Designer Leather Handbags, Belts, Accessories | Made in USA | U hOO Birds | Be Beautiful. 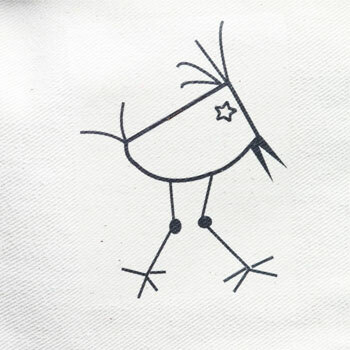 Be a Bird. This bag is Early U hOO. A Classic. An heirloom. Crazy and Fun. A day at the beach or park. Perfect for work or play. 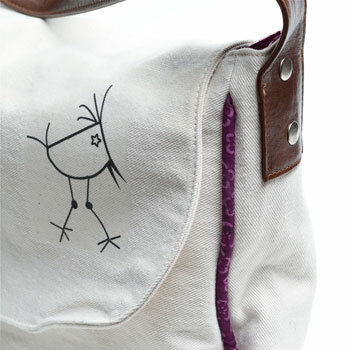 Own your Birdie bag today! • Birdie logo on front flap pocket. Logo is different from what is pictured on site. The black U hOO bird has an electric blue background. The Dark is sold out. All screenprinted in the U.S.A. 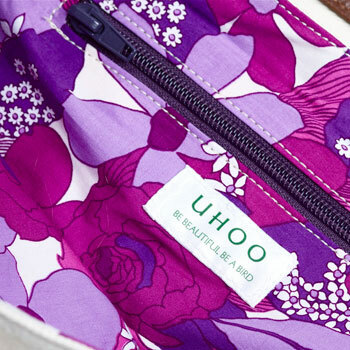 Item also comes with a purple cotton exterior and denim cotton lining.